Lactose monohydrate is one of two forms of a natural sugar that is found in milk, other dairy products and as a food additive. In most people, lactose monohydrate causes no side effects. However, if you are lactose intolerant, you will find consuming lactose monohydrate may cause some adverse reactions or less than pleasant experiences. MayoClinic.com notes that many people who are lactose intolerant don't realize it, so monitoring potential side effects may be useful. One side effect of lactose monohydrate that you will begin to notice 30 minutes to two hours after consuming it is bloating. Medline Plus notes that lactose monohydrate can cause abdominal bloating, which may be accompanied by other symptoms or be a stand-alone sign of lactose intolerance. Bloating can be reduced by removing dairy products or foods whose labels indicate that they contain lactose monohydrate from your diet. Taking lactase enzyme supplements may also help by assisting your body in processing lactose monohydrate more effectively to avoid side effects. Gas is another side effect of lactose monohydrate. 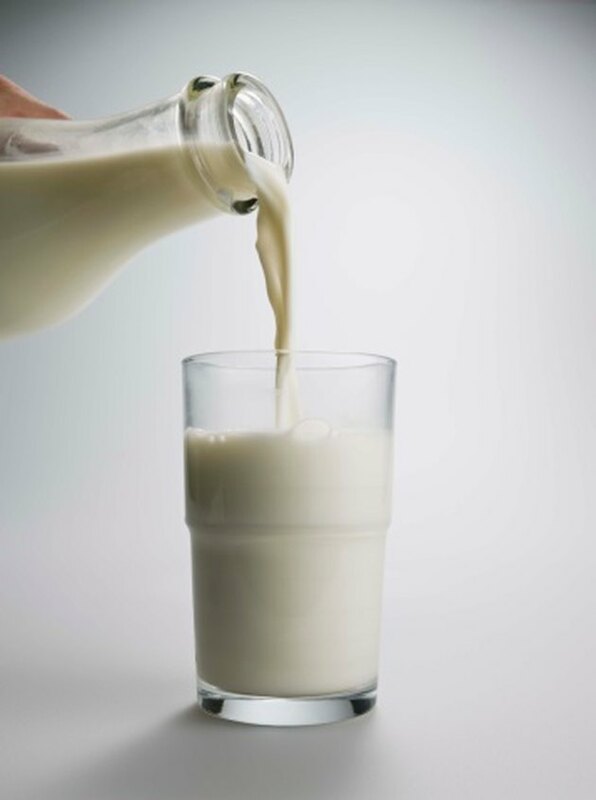 American Family Physician notes that most people who are sensitive to lactose monohydrate can consume up to 12 oz. of milk daily, but this may cause more issues with highly sensitive people. MayoClinic.com reports that in most cases of lactose intolerance or sensitivity, the level of gas experienced as a side effect is mild. However, in rare cases in may become severe, and MayoClinic.com recommends that you seek a doctor's advice for managing side effects that continue to bother you even after adapting your diet to avoid foods that contain lactose. One often misattributed side effect of lactose monohydrate is loose stools or diarrhea, notes American Family Physician. Digestive troubles like this are often pegged as being caused by other foods or by impaired digestive system functionality when it may truly be lactose monohydrate that is causing the problem due to lactose intolerance. American Family Physician recommends testing with your doctor to confirm you truly are lactose intolerant with the breath hydrogen test or a lactose tolerance test. In this way, you will be able to properly address your digestive issue. If it is lactose monohydrate that is the problem, shifts in your diet or lactase enzyme supplements may be helpful. Does Peanut Butter Contain Lactose?